William Shakespeare in his plays and sonnets mentioned about more than 90 plants which are native or naturalized in Britain. Certain plays contain more plant imagery than others, some more familiar than others. The image of Hamlet’s Ophelia handing out her pansies and rosemary, and wearing her garland of flowers will be familiar to many: "There's rosemary, that's for remembrance; pray, love, remember: and there is pansies. that's for thoughts". 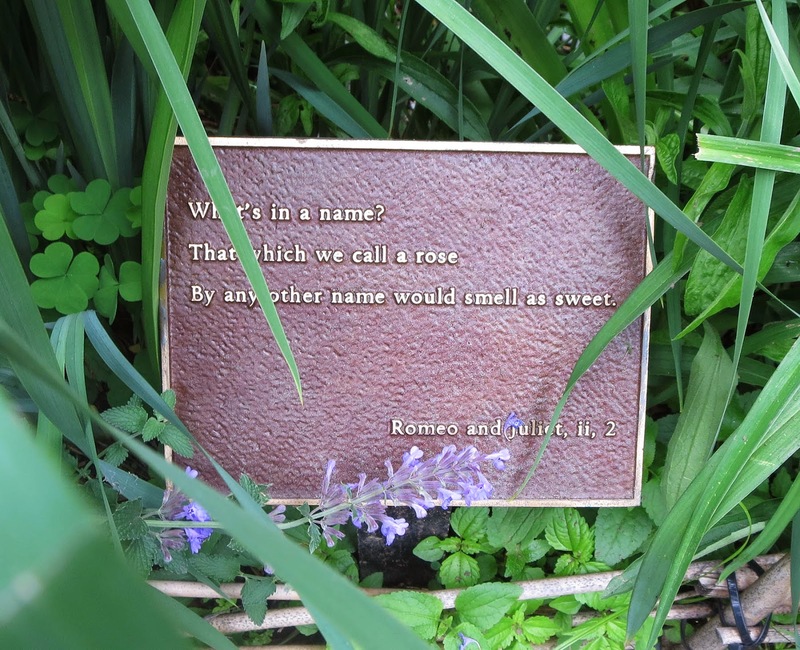 The best known reference in Shakespeare of plants used for symbolic purposes, is in Romeo and Juliet, "What's in a name? That which we call a rose by any other name would smell as sweet." 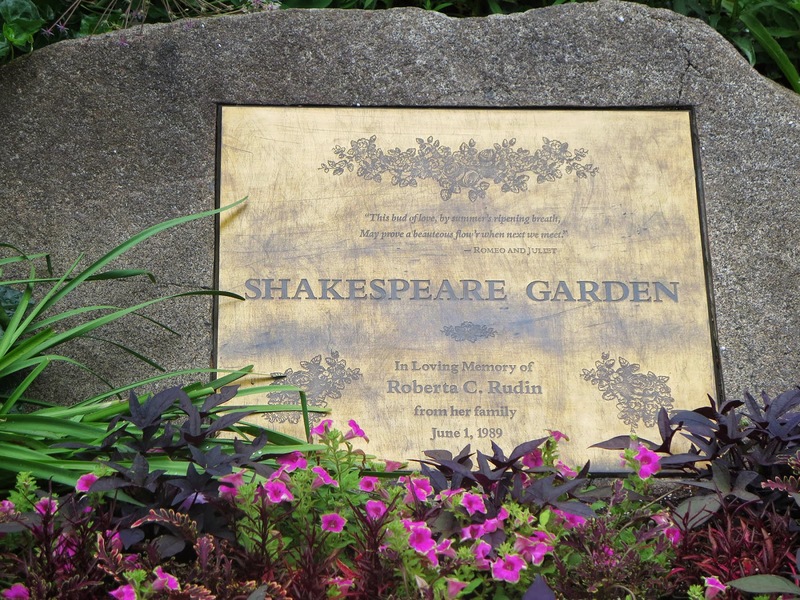 Shakespeare gardens (themed gardens that cultivates plants mentioned in the works of Shakespeare) can be found throughout many locations in both the US and Britain. WIKI sais that there are about thirty Shakespeare gardens in the world. Two of them are in New York- one in Manhattan, in Central Park and another in Brooklyn Botanic Garden. 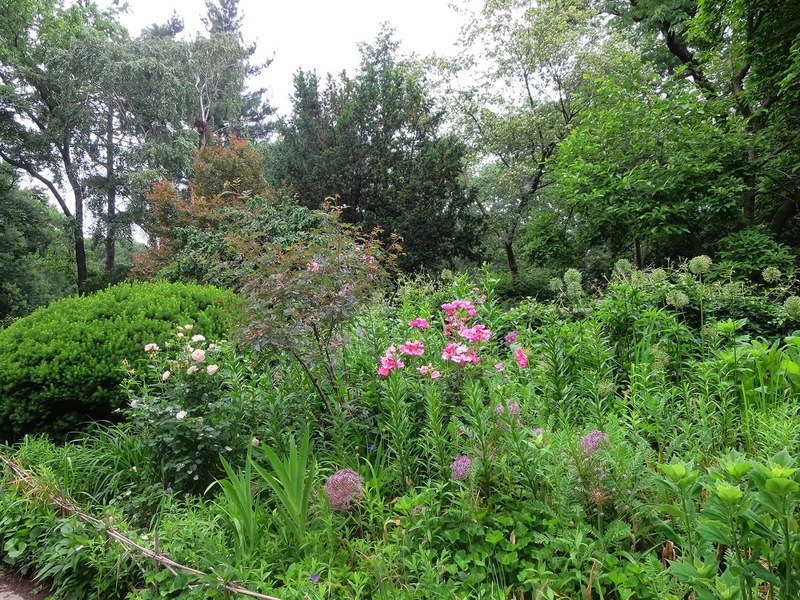 Shakespeare Garden in the Central Park is located at West Side and 79th street. The garden was first conceived in the 1880s when park commissioner George Clausen asked the Park's entomologist to create a garden adjacent to the nature study center in the Swedish Cottage. There is a puppet theater in Swedish cottage now. I wrote about the Swedish cottage in one of my posts. The first name of the garden was Garden of the Heart.. 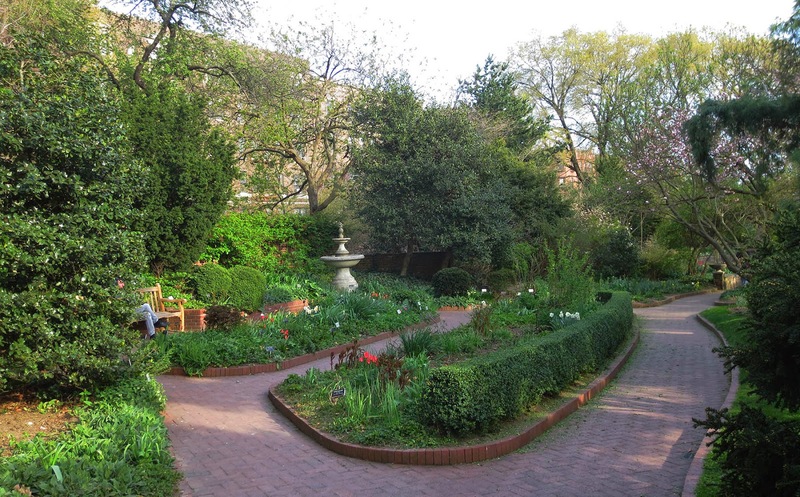 In 1916 it was renamed the Shakespeare Garden to mark the 300th anniversary of William Shakespeare's death. 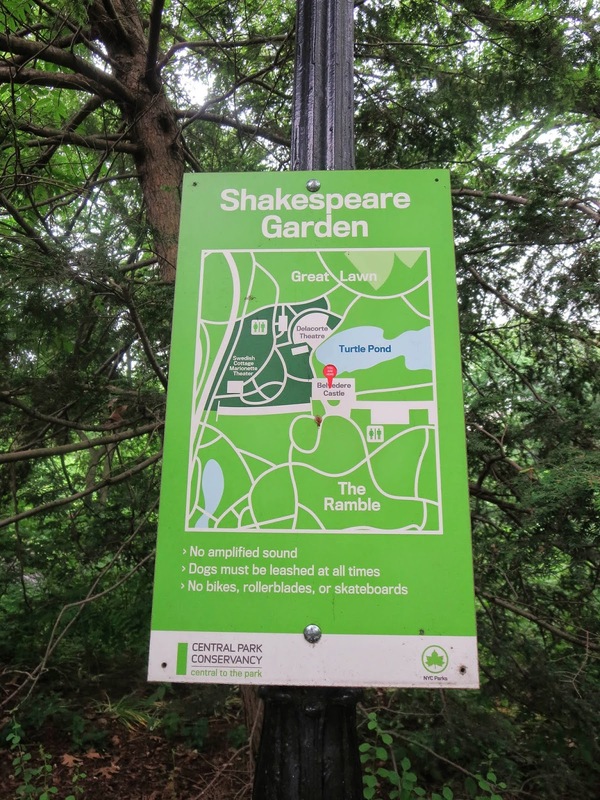 In 1987, Central Park Conservancy restored and expanded the garden, repaving pathways and installing rustic wooden benches and bronze plaques with quotations from the Bard's masterpiece. 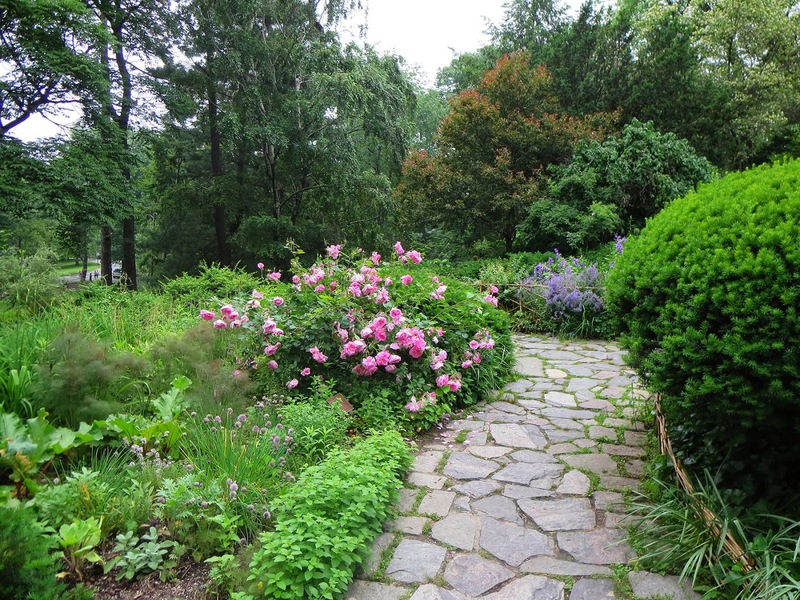 The garden is on a steep slope with several paved pathways and several rustic wooden benches. It is one of the best places to make wedding photos - every season there are flowers in bloom! Shakespeare Garden in Brooklyn Botanic Garden was constructed in 1925. It comprised a collection of herbs, flowers, shrubs, and trees. 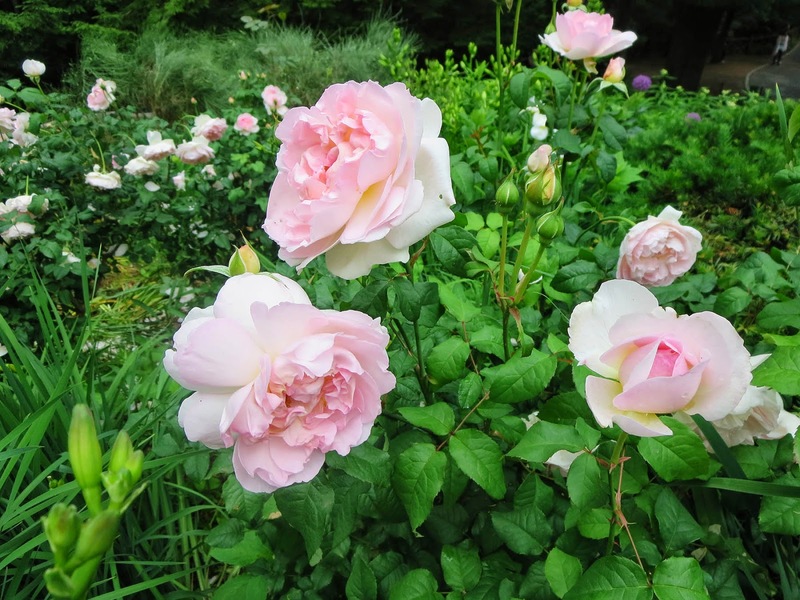 More than 80 of the plants mentioned in the works of Shakespeare grow here. The garden is very small and the wooden bench nestling among the greenery completed the peaceful setting.